Charles Bukowski was an American writer known for his hardened personality and mostly pessimistic attitude about the drudgeries of life. However, his poem Bluebird shows us something quite different. Deep beneath his gloomy exterior, the poet knew there was something tender. He writes, "there's a bluebird in my heart that wants to get out, but I'm too tough for him." 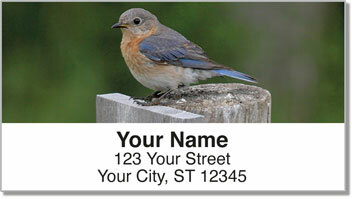 The bluebird has long been a symbol of happiness. Yet sometimes we refuse to let ourselves by happy. 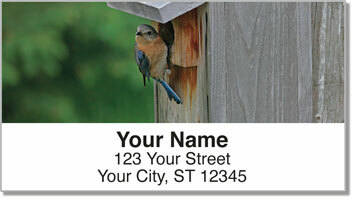 Bluebird Address Labels from CheckAdvantage feature fantastic photography of these striking creatures. They'll remind you to smile once in awhile, and make the drudgery of preparing your outgoing mail quick and easy! Even Charles Bukowski would approve of that. 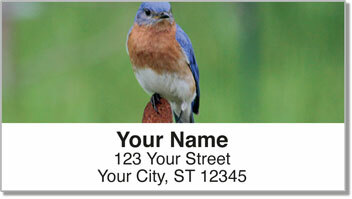 Get your own Bluebird Address Labels today! 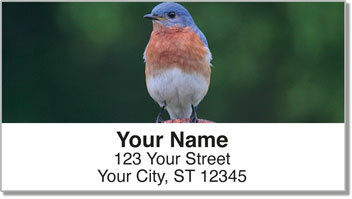 This wildlife design can also be ordered as a set of matching personal checks.